Process "System" locked the return of unplugged (!) external Seagate Expansion 2Tb. 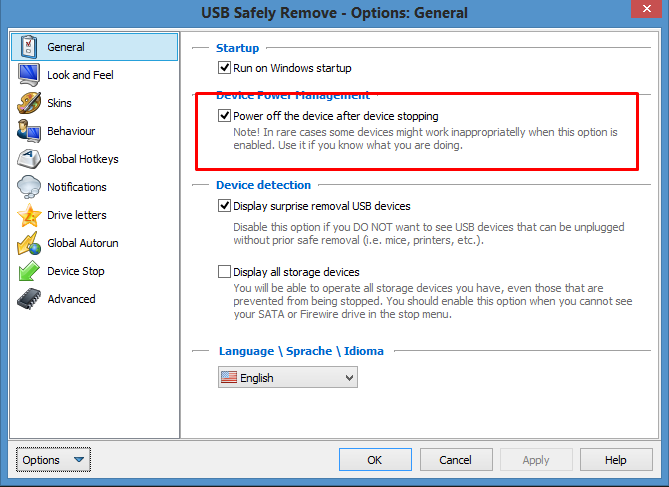 Device "Seagate Expansion Desk USB Device (J:)" has been stopped successfully! y the operation again. Use "usr wholocks ..." command to find out these processes. 1 process(es) are locking "Seagate Expansion Desk USB Device (J:)"
Start HDD via tray was unsuccesfull also. Just tried to make all operations via tray, not CLI? tha same result.